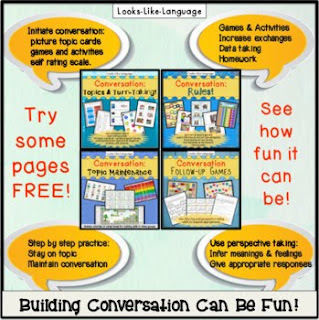 Learning to have conversations can be fun and easy! 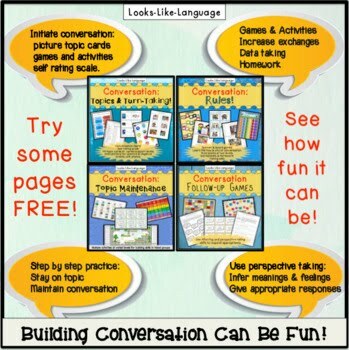 This FREE set of pages from my best selling conversation packets will give you a taste of the kinds of goodies you will find in the complete sets. Check out the complete activity packed sets using the links below.